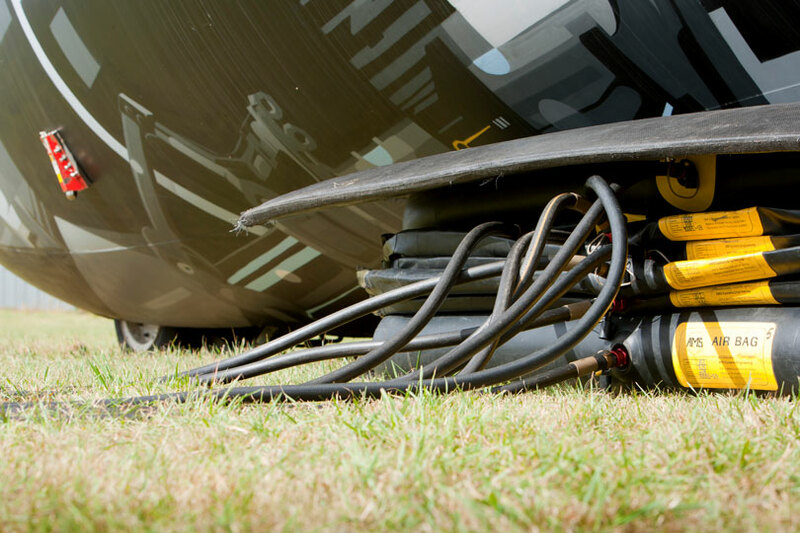 AMS supply Aircraft Lifting Airbags for any sized aircraft to deal with full or partial landing gear failure. We are a market leading innovator for the design and manufacture of Single Element and Modular Airbags through our work with the aviation industry. 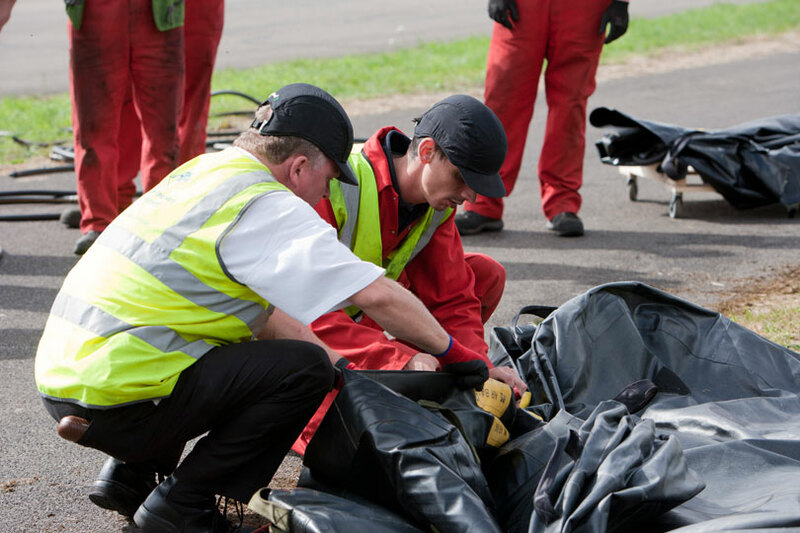 Airbag size is critical as it has to fit into an area stated in the relevant Aircraft Recovery Manual (ARM – Boeing) or Aircraft Recovery Document (ARD – Airbus). Airbags larger than 40 tonnes are not considered practical, so AMS provide lift capacities of 40, 30, 26, 20, 15, 12 and 10 tonnes. 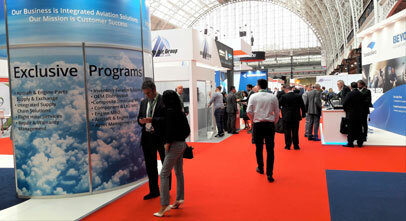 Single Element Airbags – are the most suitable option for smaller aircraft. Modular Airbags – offer greater versatility by combining the benefits of Single Element and Multi Stack airbags. 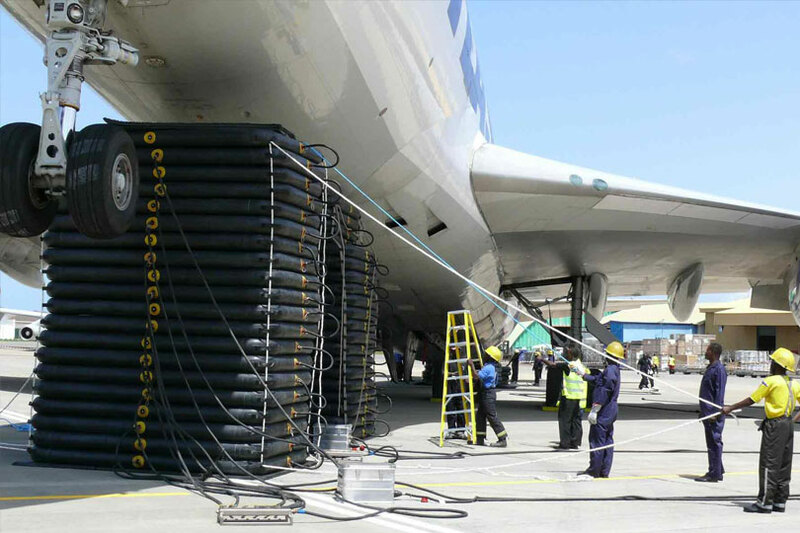 Multi Stack Airbags – remain widely used as a traditional method to lift aircraft but are increasingly being replaced by Single or Modular Airbags (which are less heavy and easier to maintain). 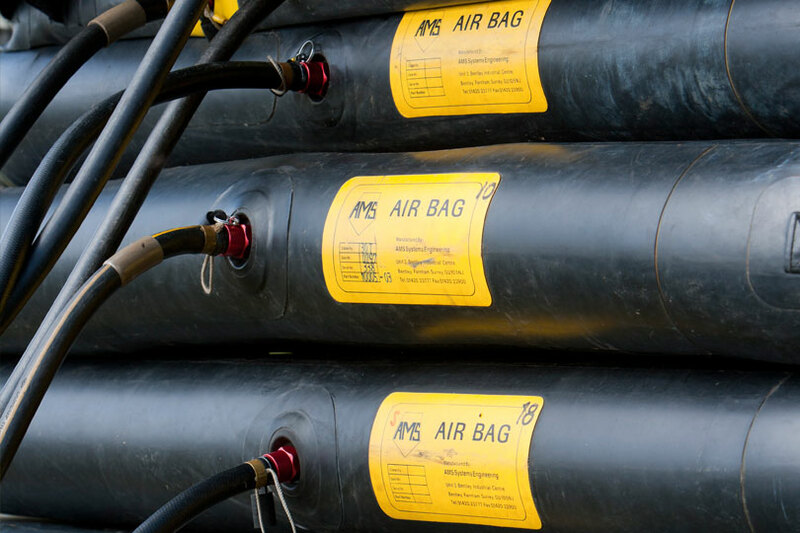 We offer the most flexible system currently available and, as our airbags are compatible with all major manufacturers’ equipment, we provide a cost-effective solution for upgrading older systems. Each airbag element is constructed from a specially woven, neoprene-coated, dropthread reinforced fabric; specifically designed to maintain full stability during operation and a life expectancy of at least 20 years. Our airbags were one of the components included in the independent testing programme to satisfy the requirements within MIL STD 810.